Many people hurt on the job may find themselves going to a Division-sponsored Independent Medical Examination (DIME). This is the first of a series of blogs on DIMEs. At some point in every workers’ compensation claim, your main doctor will determine that further treatment is no longer likely to improve your condition. This is called maximum medical improvement or MMI. At MMI, you have either fully recovered from your injury or occupational disease or you are as good as you are going to get and you will have a permanent physical impairment of some kind. If you have fully recovered, your doctor will give you a 0% permanent impairment rating. If not, he or she will assign a permanent impairment based on the American Medical Association’s Guides to Permanent Impairment (3rd Edition Revised). Once you receive your permanent impairment rating, the insurance company in your case must decide whether to admit for or challenge that rating. If they challenge it, they must file with the state to request a Division-sponsored Independent Medical Examination (DIME). If they admit for the rating assigned by your main doctor, then you and your attorney must decide whether you wish to accept the admitted rating or challenge it and request a DIME of your own. So what exactly is a DIME? It is a statutory mechanism by which disputes regarding permanent impairment are settled by a physician unrelated to the work-related treatment. How does it work? When either party requests a DIME, the parties are given a period of time to try to agree on a doctor to conduct the DIME. The parties almost never agree because the insurance company predictably wants a doctor who will more likely give an opinion in their favor. When the parties fail to agree, the state selects three possible physicians to perform the DIME. These three doctors are referred to as the DIME Panel. Then each party gets to eliminate one doctor from the panel. The idea is that the one doctor left is the least biased and most impartial, i.e. the one most likely to provide a straightforward, scientific, and accurate examination and opinion. In reality, it is difficult to find a physician that would be considered completely impartial. Most panels have two doctors known to more often favor the patient or the insurance company. This makes the DIME process a bit of a gamble. When choosing which physician to eliminate, or strike, from the panel, your attorney may be familiar with the tendencies of the particular doctors on the panel and know exactly which one to strike. If one or more physicians are unknown, you may request additional information about the doctor—such as each doctor’s professional affiliations—to help make your decision. Further, the party requesting the DIME must pay $675 to the physician for the examination. Sometimes the doctor will even ask for additional money if there are a lot of medical records or if the injuries are particularly complicated. And there is no guarantee that a DIME will benefit you. The DIME physician could keep your rating the same, meaning you lose the $675. Throughout this process, a number of deadlines critical to your case may come and go. You have a limited time to request a DIME after the insurance company files a Final Admission of Liability. You have a limited amount of time to try to agree with the insurance company on a physician. You have a limited time to strike a doctor from the panel. Seek an attorney to help you with these deadlines and other decisions so that you do not miss your opportunity to get your DIME. 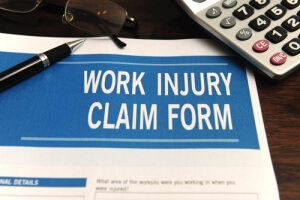 An experienced Denver workers compensation lawyer at Bell & Pollock, P.C. is happy to answer any of your questions. Call us at (303) 759-5900. Next in this series: What happens at the Division-sponsored Independent Medical Examination?